On the side of one of the MGM Grand’s hotel towers is a huge banner of Floyd Mayweather Jr., claiming to be the home of boxing’s pound-for-pound king. 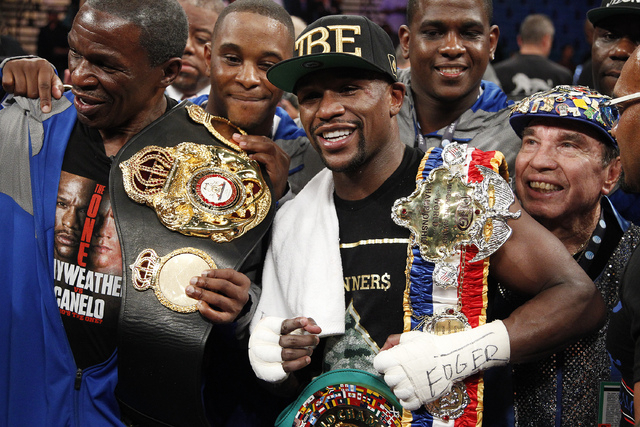 But home might not necessarily be where Mayweather’s heart is. His bankbook might be a bigger influence. When his May 3 welterweight title fight against Marcos Maidana on Showtime Pay Per View was announced Monday, the site was not included in the announcement. It had been perceived that the MGM Grand Garden, the site of Mayweather’s past eight fights, also would host this one. But the Barclays Center in Brooklyn, N.Y., is making a last-minute attempt to lure the fight from Las Vegas. Mayweather (45-0, 26 knockouts) never has fought in New York, though he said last spring he would be interested in fighting in Madison Square Garden. He last fought outside of Las Vegas in 2005, when he knocked out Sharmba Mitchell in Portland, Ore. The selection of a site should be made in the next day or two, and multiple sources with knowledge to the situation say the MGM remains the favorite to land the fight. But the fact that Brooklyn is included in the discussion speaks to Mayweather’s business sense of leaving no opportunity unchecked. 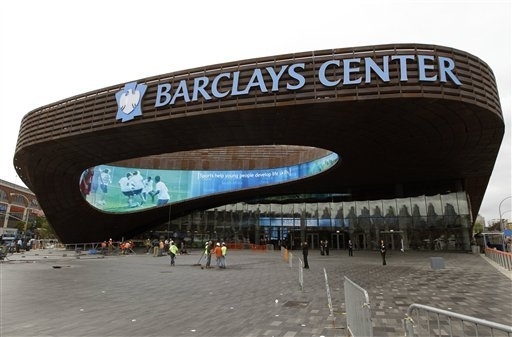 Getting the fight would be an enormous coup for the Barclays Center, which is competing with Madison Square Garden for fights and has an exclusive deal with Golden Boy Promotions, which is co-promoting the bout. But Nevada has some built-in advantages over New York. Mayweather lives in Southern Highlands and trains at his own gym. He wouldn’t have to adjust to a different time zone and can sleep in his own bed. Financially, having the fight in Las Vegas also makes more sense. Nevada has no state income tax, and New York does. New York City also taxes visiting athletes. Of course, the Barclays Center could offer more money to cover those taxes and match what probably would be another $30 million to $40 million payday for Mayweather. But the facility probably would have to charge considerably more for tickets to cover those costs, and it might be hard to make a profit. A $2,000 ringside seat in Las Vegas might not sell as easily in Brooklyn. But from Barclays’ perspective, it might be worth taking a loss to land Mayweather and secure bragging rights over the Garden. In his last fight, against Saul “Canelo” Alvarez on Sept. 14 at the MGM, Mayweather set records for a live boxing gate at $20.03 million and for gross pay-per-view sales at $150 million. The Las Vegas Convention and Visitors Authority did not know what the nongaming economic impact was for the city for the fight. But according to the LVCVA, when Mayweather fought Robert Guerrero on May 4, the nongaming economic impact for the MGM alone was estimated at $10.7 million. A Showtime official said the network doesn’t care where the fight takes place. Contact reporter Steve Carp at scarp@reviewjournal.com or 702-387-2913. Follow him on Twitter: @stevecarprj.